This fingerprint lock makes it easy to secure your stuff when you're on the go. Biometric technology makes your fingerprint the key that opens the durable pick- and water-resistant lock. 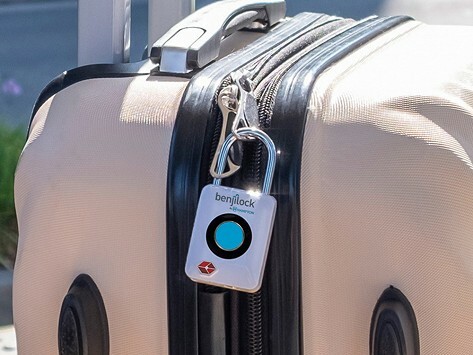 Benjilock by Hampton Travel Lock can store up to five fingerprints, is USB rechargeable, and can be opened with a unique, programmable code for extra peace of mind. Dimensions: 0.72" x 1.30" x 2.82"
I travel a lot due to work and this has been a great addition to it. I tried every thing I could the lock does not work, I threw it away.